IDF soldier gives armed Gazan children water, sends them back to their parents. 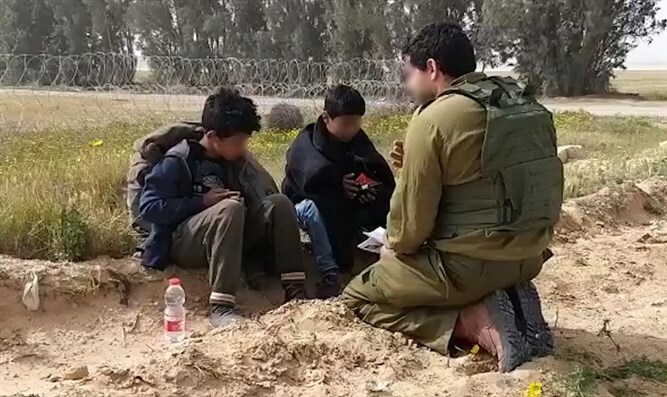 On Saturday morning, IDF troops apprehended two children near the security fence in the southern Gaza Strip. The children were carrying a knife. 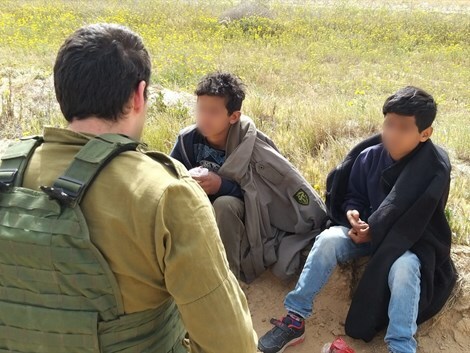 Following an initial inquiry by IDF troops in the field, the children explained that they had intended to infiltrate into Israel with a knife so that they would be apprehended and sent to prison. IDF troops gave the children water and then returned them to Gaza through the Erez Crossing. Last year, Hamas sent a seven-year-old girl into Israel, to face the IDF forces stationed along the border fence with Gaza. The IDF confirmed that the suspected terrorist was a young girl, engaged her, and ensured that she returned safely to her parents.